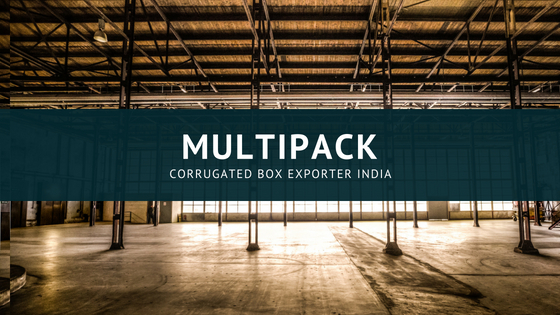 MultiPack is Corrugated Box Exporter India. 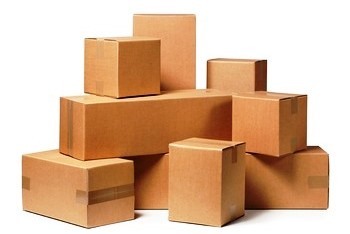 In 2017, demand for corrugated boxes is to increase by 4.2% per year to reach 234 billion square meters on this earth galloping the real GDP gain. The growth driver of corrugated boxes is mainly industrial activity which consumes the corrugated cartons to protect goods in transport. Furthermore, B Flute Corrugated Cartons & E Flute Corrugated Boxes will help penetrate in Folding Cartons market too. On the global level, Food & Beverage constitute 43% of the corrugated box market. From the consumption point of view, the Western world has remained the largest consumer of corrugated cardboard boxes but going forward China & India will see the fastest growth due to increase in Industrial Output. Also, demographics of these countries are supporting the consumption story. If per capita consumption of India & China is matched with developed countries, it will be a huge growth driver for the corrugated box industry. In 2017, due to structural policy changes in China, India has gained a strong foothold on in Export Market. China has banned import & manufacturing of Recycled Paper hence they would use only Virgin Kraft or Virgin Pulp based Kraft for manufacturing the boxes. While India has an option to use higher grade recycled kraft paper that can be very competitive and also sufficient for the certain application. Corrugated Box Exporter India. Hence, due to unaffordability from Chinese Market, India has emerged as a strong hub for Corrugated Box Export Market. MultiPack has proper infrastructure to cater this demand and service the clients all over the world. We have both the options available. We can give you full palletized container or we can provide you direct container stuffing. Stuffing will be done as per your convenience and your instructions. We are open for business on all the terms such as Free on Board (FOB), Cost Insurance & Freight (CIF), Direct Door Delivery (DD) or any other customized solutions you want to work out. Potential customers are allowed to do third-party verification of our premises. Even during the time of your export order production, you may personally or by your third-party agent can be present at our factory premises to ensure the quality checking. We are open for transparency. We aim to come up at a leading exporter of corrugated boxes from India hence quality of cartons & our services it supreme to us.